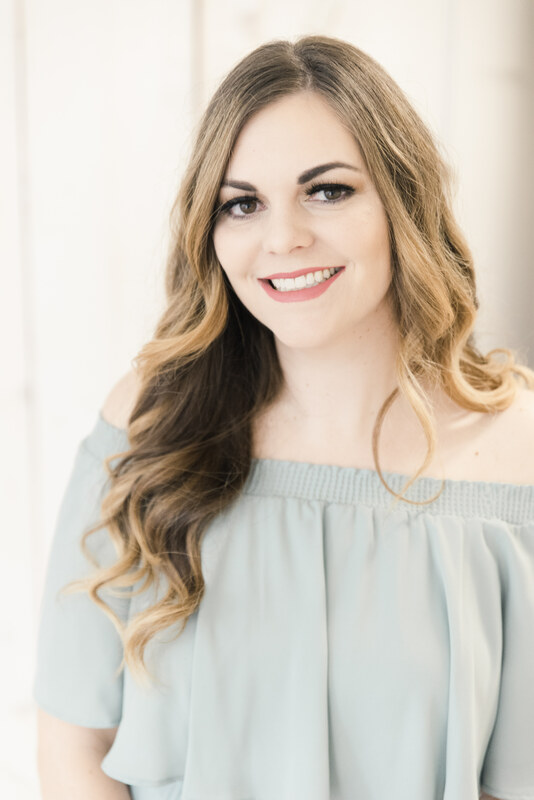 My husband is the big baker of the household, and since it’s almost officially fall now, I am excited for the tasty treats to be had in our family. Fall is the season of everything decadent. Since it’s not so hot out anymore, I’m using the stove and the crock pot all the time again for soups, chili, and hot baked dishes. I’m also thinking about yummy seasonal desserts and the holidays already, so I wanted to share with you a favorite in our household- my husband’s famous Whipped Pumpkin Dessert. I won’t lie, I’m not sure where this recipe originally came from. I’m pretty sure it’s been passed down through the family but we have made little tweaks here and there. We’ve made it with a graham cracker crust before, and with vanilla pudding instead of chocolate. 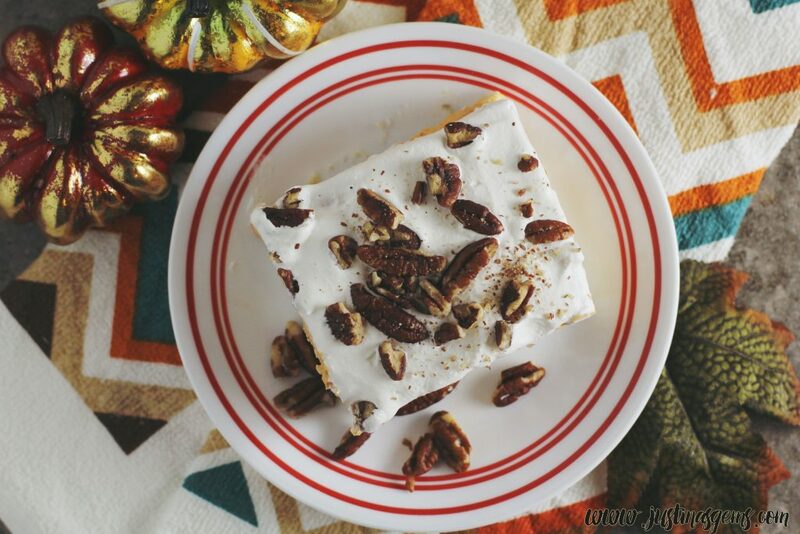 You could also make it nut free if you’re allergic by using a graham cracker crust and skipping the pecans on top. You could probably even make this into an ice cream cake if you really wanted to. 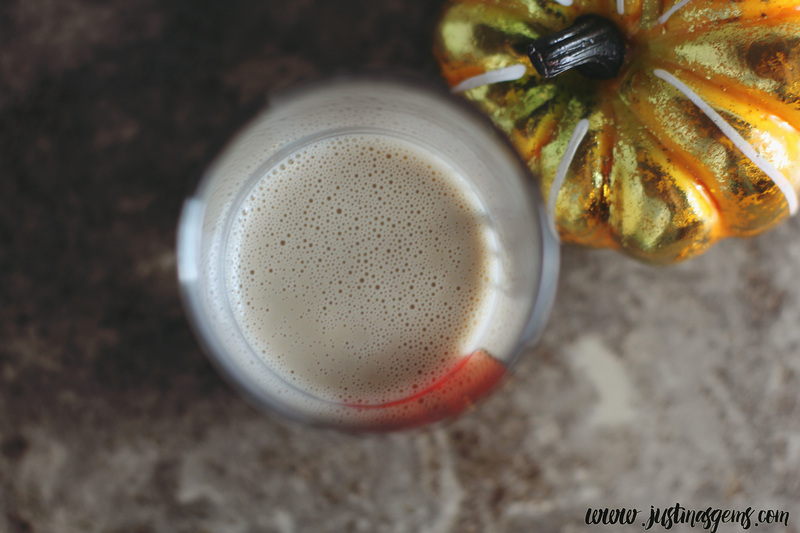 I’ll share the recipe and show you one of the recent tweaks we made below! This is a 4 layer dessert. Start with a glass baking dish sprayed with a non-stick cooking spray or coconut oil. Layer 1: Mix together flour, butter, 1/2 cup pecans crushed and lay the mixture on the bottom of the baking dish and press as though making a hard crust. Bake for 15 minutes at 350 degrees. Remove and let cool in fridge or on counter until it reaches room temperature. Layer 2: Set aside 1 cup of the whipped topping, not to be used in this layer. Blend together the cream cheese and powdered sugar with the remainder of the whipped topping. Spread half the mixture in a thin layer over the bottom layer of crust. Layer 3: Mix milk, Orgain Organic Protein Almond Milk®, pudding mix, pure pumpkin and pumpkin spice together with the 1 cup of whipped topping left out previously. This should be a decadent, soft and creamy texture. Spread over top of layer 2. Layer 4: Spread the other half of the remaining mix from Layer 2 over the whole pan. 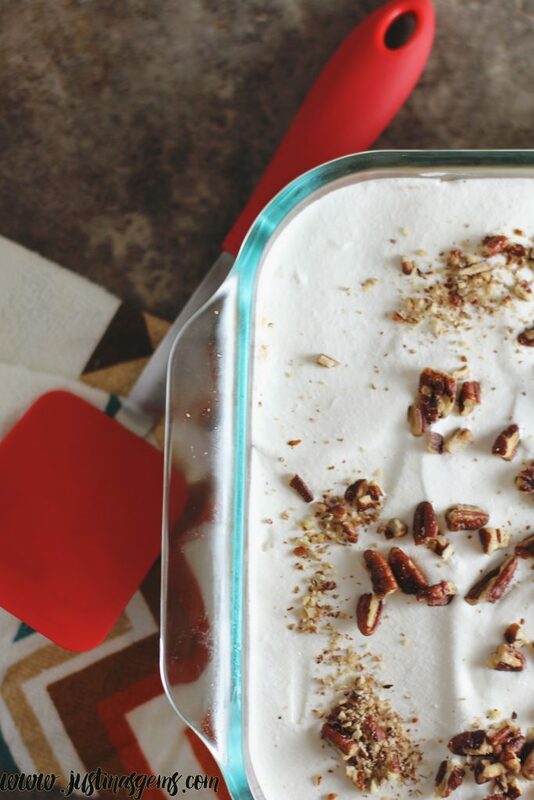 Spread the remaining 1/2 cup of pecans over the top of the baking dish. Let chill for at least 3 hours or overnight until set. This is such a crowd pleaser of a recipe and any time we have guests over in the fall, this is what we make! 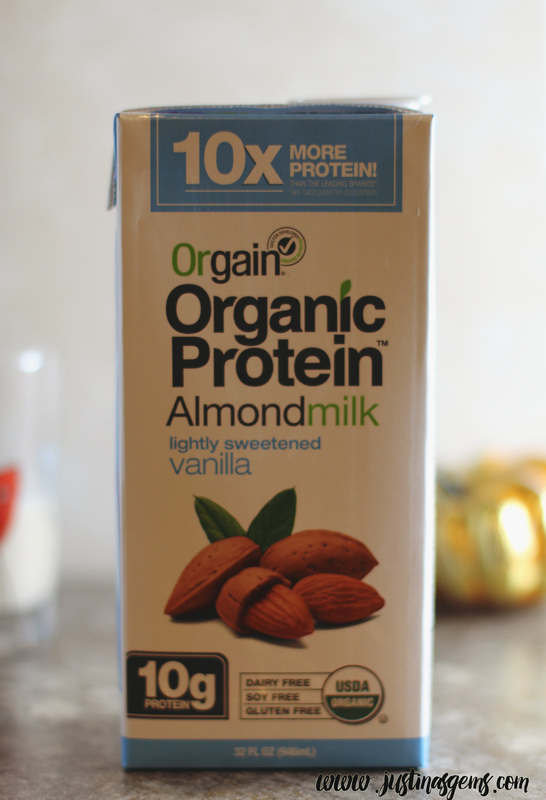 A recent tweak we made included swapping out a portion of the milk for Orgain Organic Protein Almond Milk®. Orgain’s lightly sweetened vanilla has less than half of the sugar of the leading brands’ sweetened vanilla almond milk. It’s vegan, dairy free, gluten free, soy free, and non-GMO. A big part of why I chose to use it in this recipe was for the fact that it added a creamier flavor and has 10 times the protein of other leading almond milks. This is supposed to be a decadent dessert as it is, but I think the Orgain brought it to the next level! I had a glass of this while I was cooking and I have to say I love the way it tastes on its own. I try not to drink my kids’ milk because they drink 2% and I want to be healthier. I don’t need that extra fat in my diet! I had kind of a lightbulb moment while we were making this recipe as well. I have vegan relatives and we try to work around their dietary needs during the holidays. As a result, we’ve had some really funky tasting dishes over the years when trying to avoid certain ingredients. 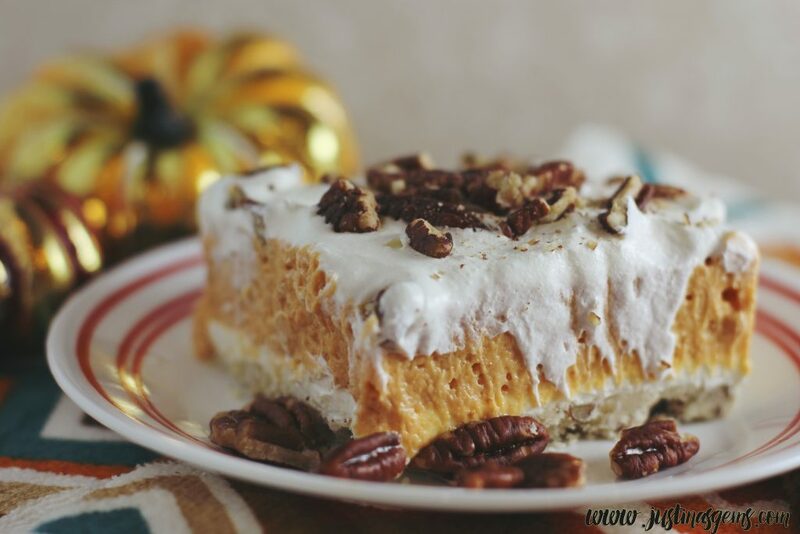 I may try recreating this pumpkin dessert with some dairy free options, including Orgain, and see if I can’t do a vegan whipped pumpkin dessert for my food contribution for the holiday get together. I love this dessert and I’m going to sneak off and have another piece right now! If you decide to make it, let me know what you think! 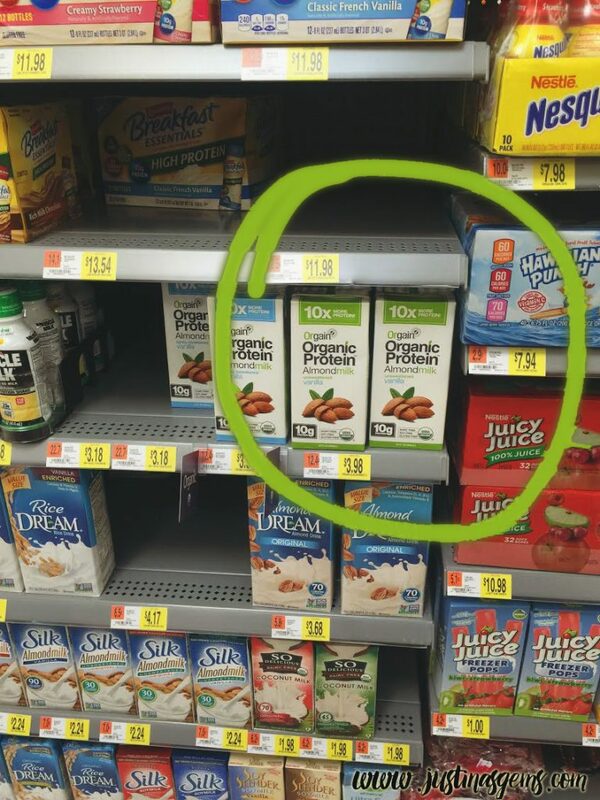 If you’re going to purchase the Orgain Organic Protein Almond Milk® check out this coupon offer for $1.50 off any one (1) container at Walmart. I’ll show you where I found it below! What’s your favorite fall dessert? Leave a comment letting me know, and link to the recipe if possible. I have a sweet tooth lately and I’d love to try some of your creations. YUM! My mother in law has a recipe for poached pears and it’s one of my favorites that she makes. That looks and sounds fabulous, thanks for the recipe!! 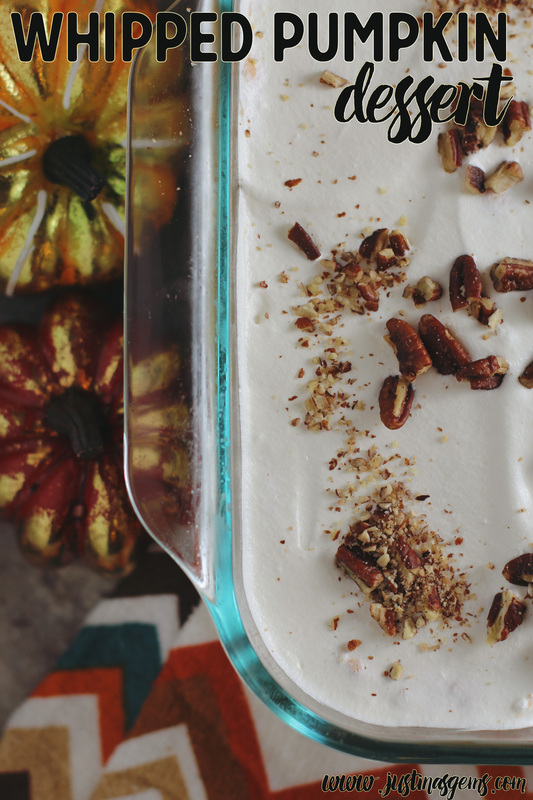 I’m not a pumpkin eater but my husband is and would love this recipe. 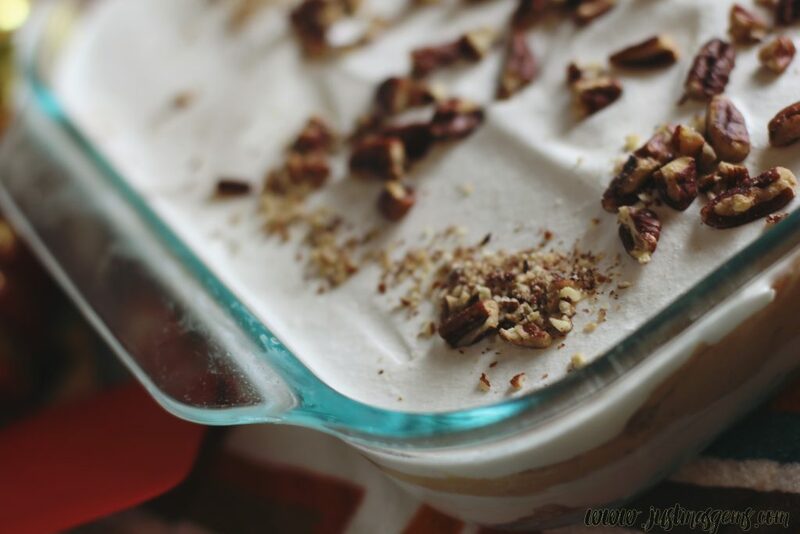 I’ve not had luck cooking with almond milk, but it sounds perfect in this no-bake (well, almost) recipe. Gosh, that looks sinfully delicious and decadent! I love anything with pumpkin. OMG this sounds soooooooooo good!!!!!! At what step do you include the pudding? I see it in the ingredients, but not in the instructions. I think it must go in step 3 with the pumpkin…right? Thanks. So sorry I left the recipe incomplete. I’ve just edited it to reflect where the pudding goes! This looks fabulous. ??? What size tub of whipped topping did you use? I guess the pudding boxes go in the cream cheese layer? I feel so silly I forgot to include them! I just edited my recipe to reflect where they go, sorry about that! Hi Mary! Glad you asked because, NO! haha. You’ll need 1 and a half cups of milk, then I also used 1 cup of Orgain Almond Milk. That is how I got the really creamy texture. More than a cup of almond milk and it may have been too rich I think. If you don’t have almond milk you could use just 2 and a half cups of regular milk. I hope that helps! Sorry about the confusion! The “.” in between the 1 and the 5 is barely legible, I am seeing now! If you do make a non dairy recipe of this dessert, how could I find it? There are many dairy ingredients in this, which I cannot eat. Pudding, butter, cream cheese, whipped cream–anything dairy gives me bad problems. If you remake this recipe without dairy ingredients, how can I find it? You have challenged me 🙂 I will see what I can whip up. If I do some dairy free, vegan recipes, I will let you know! 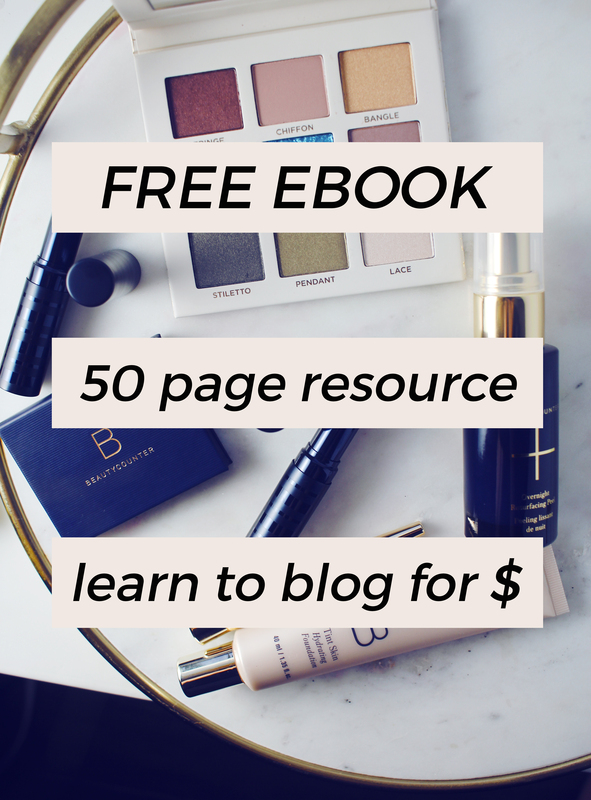 Do you have an email handy? What size baking dish (dimensions? )should be used?